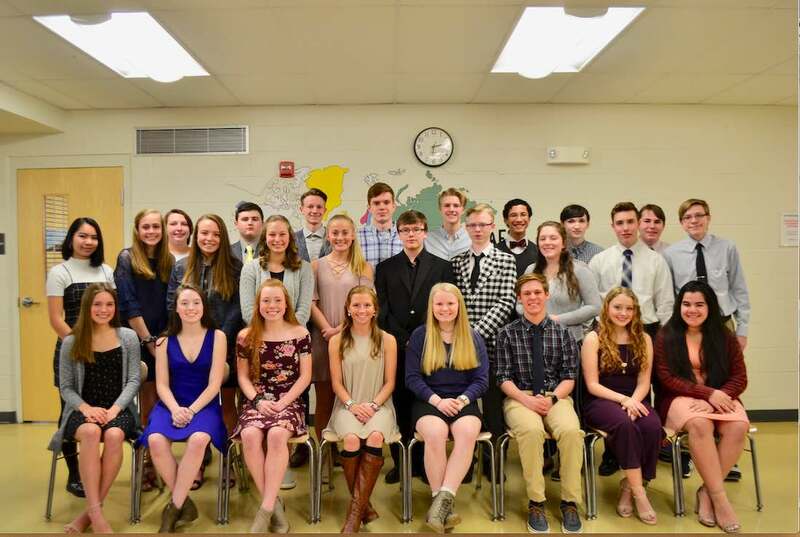 LRHS NHS Inducts 30 New Members! Why do we score student work and report scores? 1. To provide a concise overall snapshot of student achievement to students, homes, colleges, and employers, for decisions about scholarships, admission, and employment. 2. To provide specific information to students and homes about what students know and are able to do, for the support of academic achievement and success. To meet the first purpose, we report an overall course score, in the form of a percentage grade. What scores do we report? To meet the different purposes for reporting, we report two different kinds of scores: an indicator score, and a percentage score. Indicator scores will be used to score student assignments. For the report card, indicator scores will be averaged and converted to a percentage score. How do we determine indicator scores? For every performance indicator, there are scoring criteria that describe what student work looks like at the 1, 2, 3, and 4 score levels. What counts for the indicator score? Assignments called demonstration tasks count for the indicator score. These tasks are designed as demonstrations of what students know and are able to do for each indicator, and are measured by the appropriate scoring criteria. Some demonstration tasks provide evidence of specific components of an indicator; others provide evidence of all components working together. These larger, more complex demonstration tasks will carry a greater weight in the overall indicator score. All demonstration task scores count. Can demonstration tasks be remediated for a higher score? Yes—even if the score is already passing. Students will complete a Remediation Plan for any demonstration task they have to or choose to remediate. Learning checks are designed as practice—not to provide full evidence of meeting expectations. This practice work informs teachers and students about student progress. Because we want students to practice a lot without penalty, learning check scores do not count in the indicator score. When does the indicator score convert to the percentage score? Most indicators will be measured multiple times in a course. The average of those indicator scores will be continuously available on Schoology. Each quarter, we will convert these indicator scores and the course score to percentage scores, and record that score in the Infinite Campus (IC) report card. IC course scores are NOT an average of indicator scores in IC—they are the conversion of the course scores from Schoology. NOTE: Indicator scores are cumulative, so the indicator score will change each time the indicator is measured on a demonstration task. The graphic included on the reverse of this guide shows how the conversion works. Please take 15 seconds to say Good Morning to each other. Prom tickets will be on sale this week and the week after April break. The cost is $35 each and tickets can be purchased any time during the school day in Ms. O’Donnell’s room (219). Prom will be held at Camp Takajo in Naples, on May 11th from 6:00-10:00 pm. There will be a brief meeting for Sophomores today in the auditorium during AB, please still sign up as you will be dismissed back to your class. Just in case you didn’t remember today is our last day before vacation!! We return on April 22nd. Any Boys Basketball player interested in participating in Gold Rush this summer, please come see Mrs. Johnson in the athletic office for the forms. Mr. Holden’s 1st period class will be reporting to the Library today.